There has been a lot of questions about whether the anti-obesity drug Phentermine is addictive or not. Research has been released that shows this drug does not cause amphetamine-like withdrawal symptoms in patients, even if that patient has been taking the medication for decades and suddenly stops. The research was undertaken by Ed Hendricks, MD, and his colleagues from the Center for Weight Management, Sacramento, and Roseville, California. The research showed that patients didn’t present any signs or symptoms of withdrawal or dependence other than feeling hungry, which is a sign the therapeutic effects of phentermine were stopped. Dr. Hendricks spoke about the study, saying that it should show there is no need to worry about phentermine addiction, and his hope that a barrier is preventing obese patients around the world getting the help they need has now been removed. The study was greeted with reservation by one expert out of Europe, despite the lack of pharmaceutical treatments for obesity on offer within the European Union. The skeptic in question is Jason Hadford, Ph.D. Hadford heads up the largest European center for regulating appetite and eating behavior, which is based in Liverpool University in the UK. Hadford spoke about the study himself, saying that the data does indeed provide some reassurance, but his problem is that the drug is very old and that there isn’t a lot of data on it. The reason for this lack of data is that phentermine is currently only prescribed for obesity in the United States. He added that the drug does also come with a range of potential effects that should be considered, such as cardiovascular problems. Hadford also remains unconvinced about the potential benefits of the combination product Qsiva (Vivus), which includes a small phentermine dose combined with extended-release topiramate. This product is also available in the United States, but the European Medicines Agency has rejected approval for it twice now. The phentermine drug is a psycho-stimulant drug belonging to the phenethylamine class. The drug has been held back by its association with problems in the heart-valves when it was used as part of the combination drug “Fen/Phen” (fenfluramine and phentermine), which was taken off of the market several years ago due to safety concerns. Phentermine is primarily used by itself as a potent appetite suppressant in the United States. It’s prescribed to help obese patients lose weight when used in combination with proper diet and exercise, along with making modifications to behavior such as eating habits. Several countries took phentermine off the market, including many European countries, but it is also available in plenty of other countries; though it is only prescribed in short-term treatment plans. Dr. Hendricks said that the reason there were safety concerns about the potential for phentermine withdrawal symptoms is the similarity the drug has with amphetamines. However, there hasn’t been a single study to date that proved conclusively that phentermine did indeed cause withdrawal syndrome. As part of his study, Dr. Hendricks took 76 subjects that had been on phentermine for between 1 and 21.5 years, with a mean average of 8.4 years and a mean dosage of 54 mg/day. These subjects were tested to create a baseline with the 10-question Phentermine Withdrawal Questionnaire (PWQ) – which is a modified version of the Amphetamine Withdrawal Questionnaire. 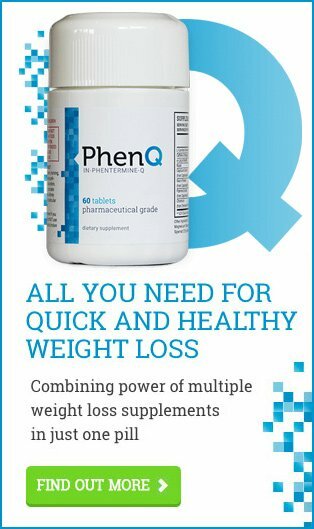 Patients were then taken off of phentermine for 2 days, before being re-tested with PWQ on the first and second day of withdrawal, before being allowed to take phentermine once more. The total scores (out of 40) proved to be significantly different across three days. The scores ranged from 3.99 on the day before phentermine withdrawal to 3.55 for the first day of withdrawal and 2.99 for the second day. When the scores are broken down into their components, however, the only real difference was for hyperphagia, which is excessive hunger. The scores for hyperphagia increased between the day before and the day after phentermine withdrawal, before stabilizing again by the second day. When the scores for hyperphagia are removed from the study, there isn’t a significant difference in the other nine questions. Dr. Hendricks said that the expected AWQ scores would be much higher for subjects dependent on methamphetamine. These patients could score around ten on the day before withdrawal, moving up to over 20 for the two days of withdrawal. Hendricks also noted that he had published evidence himself from his practice showing that long-term use of phentermine could actually benefit the cardiovascular system, rather than damage it. Hendricks asserted his belief that phentermine and other sympathomimetic drugs designed to help people lose weight get stigmatized unfairly because of how much they resemble amphetamine. The evidence from the study and everything else Hendricks knows about the drug suggests that phentermine is much safer than people assume it is. Last updated: March 8th, 2017. Bookmark the permalink.